Information retrieval is an essential component of the systematic review and research synthesis process. The Campbell Collaboration has established guidance and identified resources for information retrieval. This webcast will discuss the importance of accessing grey and international research for systematic reviews and research syntheses. Specific international databases will be described and the presenter will demonstrate how to locate and access grey literature. This webcast originally aired on January 17, 2018. The archive is available on YouTube at this link: https://youtu.be/IHglkCk9Tn4. Text version of PowerPoint™ presentation. Evaluation: Please fill out the brief evaluation after viewing the webcast. 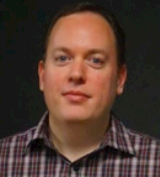 David Pickup is a librarian working as the Information Specialist for the Systematic Review Team at Concordia University’s Centre for the Study of Learning & Performance. For the past eight years he has also consulted with teams working on Campbell Collaboration systematic reviews, first as the Trials Search Advisor for the Education Coordinating Group and more recently consulting with the Disability Coordinating Group. He routinely reviews the search strategies for Campbell Collaboration protocols and finished reviews.